Plum is a small, delicious and juicy fruit belongs to the family of peaches and cherries. These fleshy fruits tend to have a sweet and tart taste and found in different colors like red, crimson, blue-black, purple, yellow or light green depending on the cultivar type. This fruit is generally round in shape and at times can be oval or heart shaped with a central hard stone type inedible seed surrounded by the juicy pulp. The dried plum is called a prune, is also very tasty. It is best to have a plum whole with the skin but don't forget to properly wash them before eating them. Let's check out some wonderful health and beauty benefits of this amazing fruit. Plums are very good source of vitamin A and beta carotene. Theses compounds are essential for maintaining good vision and healthy mucus membranes. Plums prevent age-related macular degeneration, which is the main cause of poor vision or vision loss in older persons. Plums are known to be effective natural laxative and can help to maintain regular bowel habits. Plums are a good source of dietary fibers which help to lower bad cholesterol and help to prevent constipation. In addition, high fibers contents in Plums improve the performance of digestive track and keep you healthy and energetic. Plums help in absorption of iron in the body an this ability is due to the high vitamin C content in this fruit. Iron in plum is highly required for red blood cells formation. It improves blood circulation in the body and prevents anaemia. Plum also leads to better blood circulation, which further leads to the growth of healthy tissues. Plum contain a good amount of vitamin K which opposes unnecessary blood clotting all around the body. Plums prevent blood platelet clotting which may lead to many diseases such as Artherosclerosis, High Blood pressure, Coronary Heart Disease and Stroke. Hence Plum reduce the risk of all theses diseases. Plums are highly beneficial in maintaining the heart health. Plum contains a significant amount of antioxidants that help to get rid of the free radicals and prevent cholesterol oxidation which may lead to many heart diseases such as heart attack, heart stroke and high cholesterol. Fibre in plums helps to lower cholesterol levels. Additionally, plums contain virtually no saturated fat, the dangerous fat that may increase your risk of heart disease by raising your cholesterol levels. Plums are also rich in minerals like potassium, fluoride and iron. Iron is necessary for red blood cell formation. Potassium is an important component of cell and body fluids that helps controlling heart rate and blood pressure. Plum are rich source of anti-oxidants which fight against skin damaging free radicals and slow down aging process. The vitamin E and beta carotene, an antioxidant in plums, protect fatty acids and cell membranes from attack of free radicals which allows the body to fight the signs of ageing skin such as loss of elasticity and wrinkles. Plum also helps in rejuvenating the skin from the roots and reduces wrinkles and other signs of ageing. Recent study proved that plums contained some unique phytonutrients that were effective killers of breast cancer cells. They stopped the growth of the cancer cells without doing any harm to the healthy cells. Plum not only stop the growth of breast cancer cells but also reduce the risk of Breast cancer. 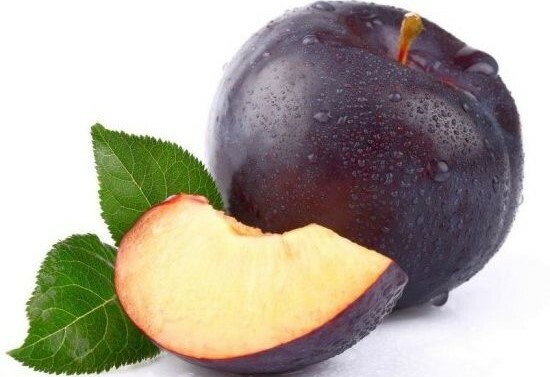 Plum is also effective in treating gastrointestinal cancer and respiratory tract cancer. Several researches have found that eating plums boosts bone health, especially of post menopausal women. It reverses bone loss due to rich amount of penoic and flavonoids compounds. It has the higher bone mineral density in the spine and forearms. Plum also plays an important role in ossification and actively participates in the preservation of bone density. Dried plums (prunes) help to restore bone mass and prevent from osteoporosis. The vitamin C in plums is good for the body tissue and for the immune system. By boosting your immune system, plum helps a lot to prevent various infectious diseases likes flu and colds. The anti-oxidants present in prunes are very helpful in neutralizing the damaging effects of free radicals on brain cells and memory. Regular consumption of 3 to 4 prunes on a daily basis helps a lot to boost your memory . You can also prepare plum fruit mask to get spotless skin. Simply apply some plum pulp on the face and neck. Leave at least for 20 minutes and then wash off. Pulp of plum naturally lightens dark spots and treats skin discoloration, freckles and age spots to give you a younger looking and spotless skin. Vitamin C in plum helps you to get rid of dandruff and soothes your scalp skin. Plum can also help to treat damaged hair and helps a lot in the treatment of a variety of hair problems which can damage the follicles and prevent proper hair growth. Plum not only fight against hair loss problem but also retains the natural colour of the hair and prevents premature greying of hair. Plum contains a significant amount of oxalates; people with the history of kidney stones should avoid taking plums. It is also believed that in some people these oxalates interfere with the absorption of calcium in the body and as a result calcium begins to precipitate in the kidneys and may cause formation of small or even large stones in the kidneys and the bladder.